Slide show presentation from WISC-Online. Amendment 20 passed by Congress March 2, 1932 and ratified January 23, 1933. This amendment states the term of the President ends at noon on the 20th of January. Secret service names for the past few presidents and their families. The nation's only complete collection of presidential portraits outside the White House, this exhibition lies at the heart of the Portrait Gallery's mission to tell the American story through the individuals who have shaped it. The nation remembers our greatest leaders. Presidents' Day honors two of the nation's greatest Presidents, George Washington and Abraham Lincoln. Free Presentations in PowerPoint format from Peter's Power Point Station. 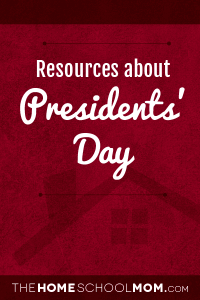 President's Day songs, arts and crafts, and activity theme ideas for preschoolers. President's Park is the area in front of the White House where the Christmas tree is located. The website offers historical information about the park for those who cannot visit in person. Learn facts about the 20th Century in the United States and about 20th Century Presidents. Each quiz selects 20 trivia facts at random from a total set of 600, offering unlimited play.